We all know what it feels like to be exhausted...and cannot seem to get through the day. Or, we feel really run down! Fatigue is the most common symptom of people who have low levels of vitamin B12. But fatigue by itself can be a sign of almost any health condition — or just that you haven't been sleeping enough! Other signs of B12 deficiency include confusion, cognitive impairment, unsteady gait, numbness, tingling & fatigue. Vitamin B12 deficiencies may happen when you aren't getting the right nutrients in your diet, when your body can't absorb nutrients properly, and when you have various other problems of the digestive system. Since most B12 in our diets comes from animal products, vegans are at risk for B12 deficiency. Crohn's & celiac disease, weight loss surgery, and chronic alcoholism can all interfere with a person's ability to absorb enough of the nutrients they need. Seniors have more problems with nutrient absorption & malnutrition as well. 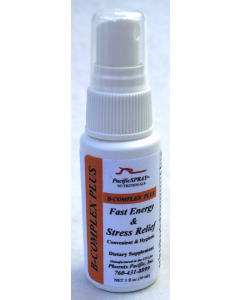 Your body cannot make enough red blood cells when you don't get enough B12. Vitamin B12 is a critical nutrient that helps your body make healthy red blood cells. If you are lacking B12, your body cannot make the amount of red blood cells that it needs, which can lead to anemia. If you have extremely low levels of B12 in your body, in some cases this can have serious consequences. You can develop mental problems, including confused thinking, memory loss, and dementia, which in some serious cases can be irreversible. 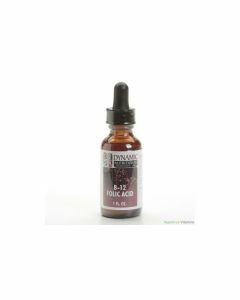 Low levels of B12 can also cause nerve damage and anemia and weaken your bones. Animal products like meat, poultry, & seafood, and dairy foods like milk, eggs, yogurt, & cheese are the best sources of vitamin B12. Honey, vegetables, and fruits are not really sources of vitamin B12, which is why people who follow a vegan diet may not get enough of it. If you're a vegan, think about eating a breakfast cereal fortified with B12. 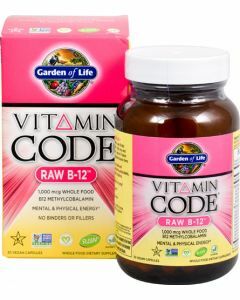 You can also take a B12 supplement, which is recommended for pregnant and nursing mothers who are vegans or even strict vegetarians. Sometimes B12 deficiency is caused by conditions other than diet. If your body can't absorb B12 properly, you'll need a doctor's help to boost your B12 to safe levels. A simple blood test can confirm if you have low levels of B12. Some people can easily fix low levels of B12 by simply changing their diet, while others will need a doctor's help. How can you treat a B12 deficiency? For some people, taking a vitamin supplement or eating more animal products (or both) can help boost their B12 levels back to where they should be. But other people may have a severe deficiency or may have an underlying health condition that causes their B12 to drop. Doctors can treat a B12 deficiency in several ways. If your symptoms are mild or moderate, you may start with an oral B12 supplement, which you take once a day; a vitamin B12 nasal spray used weekly; or vitamin B12 injections, which you need less frequently. A B12 deficiency can be corrected by making adjustments to your diet, such as eating B12-fortified foods, or by taking a supplement. In more serious cases, you may need a doctor's care. Be sure to get plenty of B12 by eating a well-balanced diet. Sources of B12 include seafood, yogurt, cheese, and eggs.